There are many high quality walks and gardens near Beachside Holiday Park. Whether you’re after an intrepid day’s trekking the coastline or a gentle country stroll, there are countless walks to choose from in west Cornwall. Take a look at the walking websites below to plan your route and don’t forget to stop off at a couple of local pubs along the way. 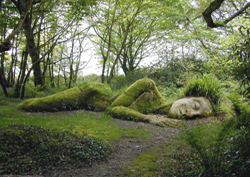 Thanks to its temperate climate, Cornwall also specialises in exotic and unusual plantlife. A Cornish garden is a perfect spot to while away a peaceful afternoon and get some green-fingered inspiration for your own garden after your holiday or to simply find a bench and take it all in. One of Cornwall’s most well known attractions, the Eden Project is a garden, education centre and scientific site in one. 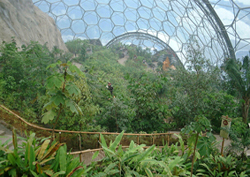 The fascinating biomes house gardens with themes that vary from rainforest to mediterranean, as well as an outdoor biome with nearly 2,000 species of plants. Lose yourself in the nation’s Favourite Garden (BBC poll) and discover the mysterious world of the Lost Gardens during your holiday. With the finest productive gardens in Britain, a pioneering wildlife project and exotic subtropical jungle just some of the attractions waiting to be explored, you are sure to have a magical day out. 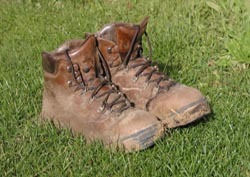 This extensive website contains routes for thousands of walks, many contributed by walkers themselves. Find a walk for your holiday by postcode or grid reference. 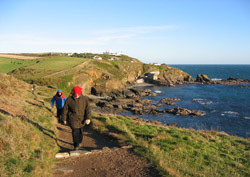 Focusing just on walks in Cornwall, this website allows you to find routes, check the weather and even join local walking groups while on holiday.